In order to help illustrate the creative options of a whole house automation, I dug deep into the malted-barley filled cracks of my brain to come up with a few instances from the past that may spark an idea for your home. 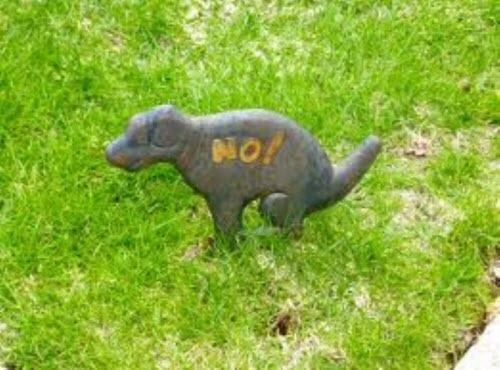 I once had a very sweet lady ask me jokingly if I could keep the neighborhood dogs from pooping on her lawn. After thinking about if for a few seconds I told her yes! She was surprised and intrigued. I then explained that her grass is not fenced in but has two pilasters at each corner where I could install an outdoor security beam which would let her home automation system know if someone has walked on her lawn. The control system could then turn on a sprinkler that would deter unwanted dogs and their owners. You may have seen a car on display spinning on a large carousel at your local sports car dealer. The very same automotive carousel display can be installed in your home by Carousel USA. One of my clients was building a new home in Newport Coast (Orange County, CA) and wanted to use the carousel to help turn his car around without having to make a five point Austin Powers u-turn. The carousel solution was ideal, the only hitch was operating it from inside the car. We ran a wire to the carousel's control unit located in the garage and connected it to the home's Crestron home automation system. We then added the ability to operate the carousel from the client's iPhone using Crestron's home control app. 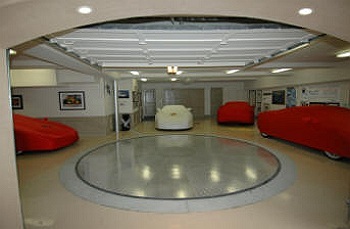 Now, no matter what car he is in he can quickly get in and out of the garage without any hassle. Who wants to slide down a dry water slide? No one! A few years back a client of mine was building a large pool with slides, water cannons and waterfalls for his family to enjoy. Since we were using a Crestron control system to manage the pool and spa, it made sense for the builder and owner ask how can we control the water slides and water cannons without leaving the pumps turned on all the time. The solution?…we installed waterproof buttons at the top slide and base of the cannon that, if pushed, would turn on the water pumps for that area for a predetermined amount of time. If you have ever lived by the beach you know that life is grand, with the exception of that pesky sand getting tracked into your home daily. I was approached with this problem by an innovative real estate developer in Laguna Beach (Orange County, CA). They had a door that went from the kitchen area to a sandy beach patio and wanted to know if a custom recessed floor vacuum vent could be turned on every time the door opened. This was simple to do and worked very well. We used a common alarm door contact that sent a signal to the control system every time the door opens which was programmed to turn on the floor vacuum. Have you ever wanted to know if that important letter or package has arrived? To one of DSI's clients this was a big deal. We engineered a simple sensor within his mailbox that would send a message to all of the home's in wall touchpanels that his mail had arrived. Simple and very effective. I hope this gives you an idea of how powerful a "smart home" control system can be. Not every audio video integration company has the skills to pull these solutions off, so be sure to do your due diligence before you spend your hard-earned cash with someone who may be in way over his or her head.